After almost two weeks of denying any knowledge of Jamal Khashoggi's death, Saudi Arabia finally admits to the journalist being killed in the Saudi consulate in Istanbul. Saudi Arabia said on Saturday that Saudi journalist Jamal Khashoggi died at the Saudi consulate in Istanbul on October 2. The Saudi public prosecutor said a fight broke out between Khashoggi and people who met him in the consulate which led to his death. "The investigations are still underway and 18 Saudi nationals have been arrested," the statement on state media said, adding that royal court adviser Saud al Qahtani and deputy intelligence chief Ahmed al Asiri have been fired from their positions. The Saudi statement can be read here. Khashoggi, a critic of Saudi Crown Prince Mohammed bin Salman, went missing after entering the consulate on October 2 to obtain documents for his upcoming marriage. TRT World looks back at the life of Khashoggi. 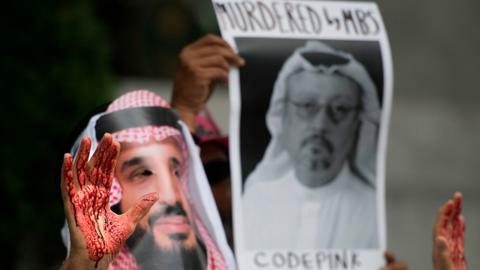 Saturday's comments marked the first time since Khashoggi went missing that the Saudis admitted to his death. Senior Saudi leaders including King Salman and the crown prince have denied any knowledge of what happened to the Riyadh critic. 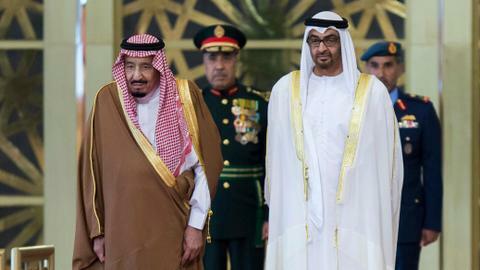 Saudi state media on Saturday said King Salman has ordered the formation of a ministerial committee headed by the crown prince to restructure the general intelligence agency. TRT World spoke with Middle East expert, Ahmed Bedier, who said Riyadh has much to explain about Khashoggi's death after denying any knowledge of his fate for almost three weeks. The White House said on Friday it would press for justice after Saudi Arabia announced Khashoggi's death. President Donald Trump said the Saudi explanation of what happened was credible and the announcement of arrests was a "good first step," but what happened was "unacceptable,"
Trump said Friday that he wants to talk to the Saudi crown prince before next steps are taken. Trump said he would work with Congress on what the US response should be, but that he'd prefer not to hurt American companies and jobs by cutting billions of dollars in arms sales to the kingdom. TRT World spoke to journalist James Dorsey for his analysis. Members of Congress voiced skepticism about the Saudi public prosecutor's explanation that a fight between Khashoggi and people who met him on October 2 at the Saudi consulate in Istanbul led to his death. "To say that I am skeptical of the new Saudi narrative about Mr Khashoggi is an understatement," Republican US Senator Lindsey Graham, said on Twitter. Graham, who has been sharply critical of Saudi Arabia after Khashoggi's disappearance, is a close ally of President Donald Trump. "First we were told Mr Khashoggi supposedly left the consulate and there was blanket denial of any Saudi involvement. Now, a fight breaks out and he’s killed in the consulate, all without knowledge of [the] crown prince," Graham said. "It’s hard to find this latest 'explanation' as credible." Congress has the power to block US arms sales to Saudi Arabia. TRT World spoke with Khalil Jahshan from the Arab Center Washington DC, a think-tank, who said Riyadh's claim that Khashoggi's death was caused by a fistfight was a "whitewash." Saudi Arabia in its statement on Saturday said information provided by Turkey helped the kingdom reveal the truth about Khashoggi’s murder. According to the state-run Saudi Press Agency, Riyadh appreciated the distinguished cooperation of Turkey and President Recep Tayyip Erdogan during the probe into the Khashoggi case. Turkish officials had early on said they believed Khashoggi was killed in the consular building in Istanbul. 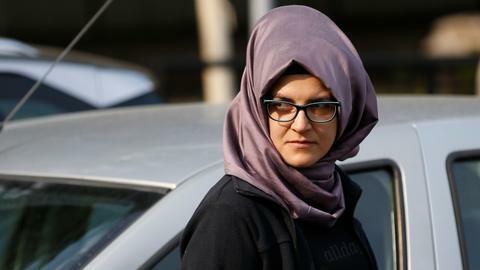 Turkish prosecutors investigating Khashoggi's disappearance questioned Turkish employees of the Saudi consulate in Istanbul on Friday, widening the hunt for clues into the journalist's fate. Turkey's Anadolu news agency said the Turkish prosecutor's office had obtained testimony from 20 consulate employees, and 25 more people including foreign nationals would be questioned. The editor of The International Interest in London, Sami Hamdi unpacks the diplomatic events that preceded the statement. The consulate employees questioned included accountants, technicians and a driver, Anadolu said. The investigation is being conducted by the prosecutor's terrorism and organised crime bureau, it added. Turkish police also searched a forest on Istanbul's outskirts and a city near the Sea of Marmara for Khashoggi's remains, two senior Turkish officials told Reuters, after tracking the routes of cars that left the consulate and the consul's residence on the day he vanished. The Washington Post's editorial page editor Fred Hiatt paid tribute to his former colleague, saying Khashoggi was committed to freedom of speech in the Middle East. 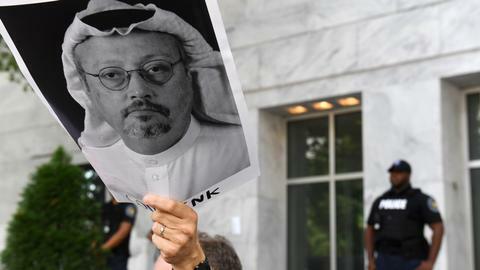 Turkish newspaper Yeni Safak has published what it said were details from the audio, including that his torturers severed Khashoggi's fingers during an interrogation and later beheaded and dismembered him. 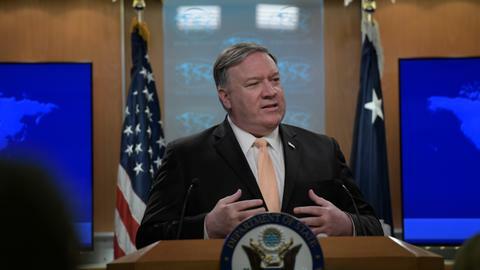 Other moves have faced criticism, including involvement in Yemen's war, the arrest of women activists and a diplomatic dispute with Canada. US Treasury Secretary Steven Mnuchin and senior ministers from France, Britain and the Netherlands have abandoned plans to attend an October 23-25 investor conference in Riyadh.